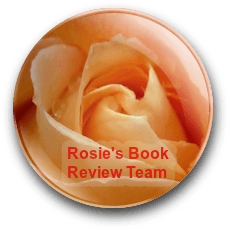 I write this review as a member of Rosie’s Book Review Team and I was provided with an ARC copy of the book. I enjoy horror books (and movies) although I don’t read exclusively in that genre. I must admit that perhaps I’m more lenient with horror books than I’d be with others. If they manage to scare me, I’m usually happy. As happens with comedy, where it’s very difficult to make people laugh, it’s not that easy to scare people (or at least people who enjoy being scared. I know people who wouldn’t read horror or watch movies). If the book can scare me, the story is good and the characters are solid and interesting, we have a winner. And, we have a winner! As I mention above I am reviewing this book as a member of Rosie’s Books Review Team, and I noticed it in the catalogue of books available a while back, but I had so many other books to read that I didn’t dare to take it on. And there it was, teasing me. Eventually, I had to read it. The story, told in the third person, alternating between the points of view of Allie Kent, the main protagonist of the story, and some of the other characters, including Phillip Chambers, a detective who falls for her from the very beginning. The opening of the novel (and as I said I’ve read a few in the genre) is very strong. I won’t mention anything, although I dare you to check the beginning of the novel in the look inside feature. You’ll see what I mean. The main characters have difficult and traumatic experiences behind (Allie’s we discover slowly, and they are much worse than we imagine), and Allie and Phillip cling to each other. But the bizarre crimes have also much history behind them, and soon the ghosts of the past become more vivid and alive than the present for Allie, causing all kinds of terrible things. The crimes are not only gory and scary, beautifully (if you know what I mean) and eerily rendered but also relate to a tragic love story. The baddies… well, supernatural doesn’t quite cover it. If you’re or have ever been scared of the dark, you’ll jump at shadows after reading this. 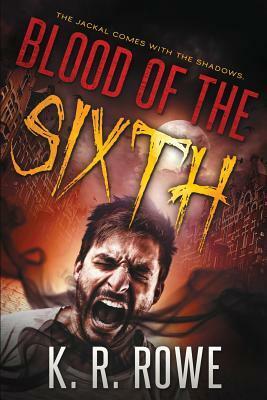 The author cleverly creates a claustrophobic atmosphere, where Allie’s apartment, her building, and the neighbourhood become part of the story, giving it a gothic feel. I can honestly say that I felt as if the town was shrinking and only the areas where the crimes were committed existed. As I mentioned above, the writing is superb, with excellent descriptions, not only of settings and of the gory details but also of the psychological experiences of the characters, that although written in the third person feel very close. The novel fits in well in the tradition of the Southern gothic novel, with complex family relationships, oppressive atmosphere and the weight of traditions. So, here you have a pretty scary story, with sympathetic characters you care for, a well-developed and intriguing story, and a gothic atmosphere. There are many aspects of the story that readers of other genres would also enjoy, but I hesitate to recommend it to people who don’t enjoy horror, because… well, it’s horrific and more. I’m looking forward to exploring more of the author’s novels and I strongly recommend it. K. R. Rowe spent her childhood in the scenic city of Chattanooga, TN and still resides there today. Her father was born and raised near Tellico Plains, in the heart of Tennessee’s tract of the Appalachian Mountains. With her mother’s South Carolina heritage, her southern roots run deep. From a very young age, her overpowering love of the mountains continues to draw her to them. When not tied to her desk, her free time with her family is often spent enjoying any activity that can take her far from the hustle and bustle of everyday life and into the peace of the mountains. Thank you so much, Olga for such a wonderful review and thank you, Rosie for sharing on you blog. You two are awesome! I really enjoyed this one also, Olga! Great review, Olga, and even though I do NOT like horror, I am intrigued enough to take a look at this – but only in daylight! I echo Noelle’s comment to the letter 🙂 I’m getting chills just thinking about trying a horror book. This sounds like a good one to try. Yikes. That should have read p.u.r.e. horror. My fingers have a mind of their own.